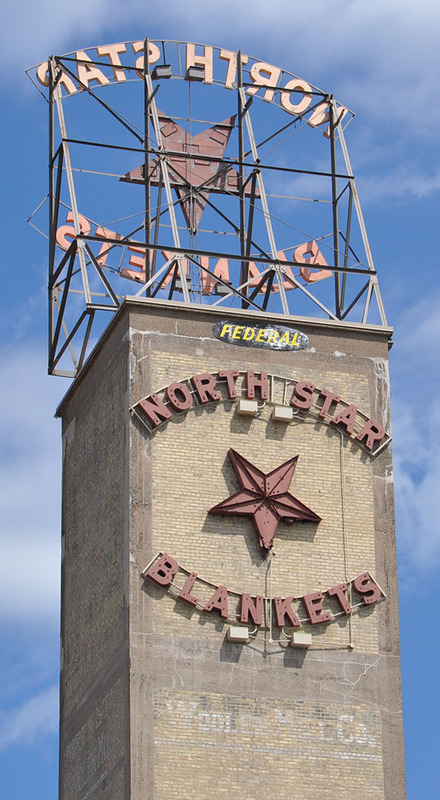 The North Star Blankets signs were installed on the North Star Woolen Mill tower in 1930. 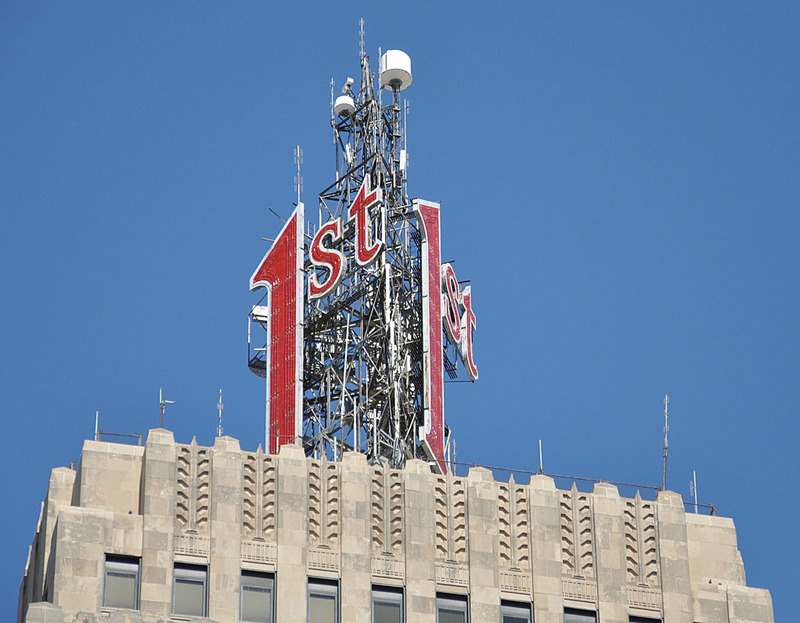 One sign is installed on a steel structure on top the tower. The other is installed on the side of the tower, facing the opposite direction. The signs are about 25 feet wide. The North Star Woolen Mill Company was established in 1864 and, by 1925, it was the largest producer of wool blankets in the country. 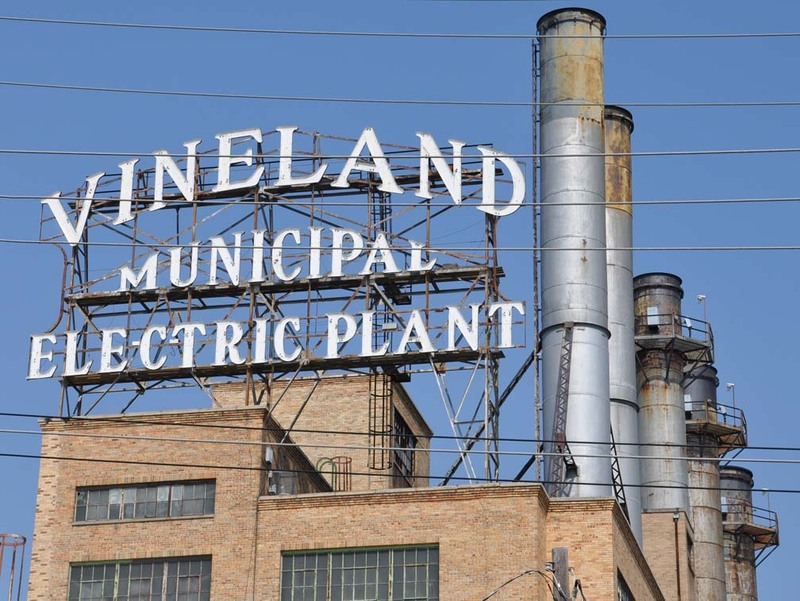 In 1949, the company relocated to Lima, Ohio. 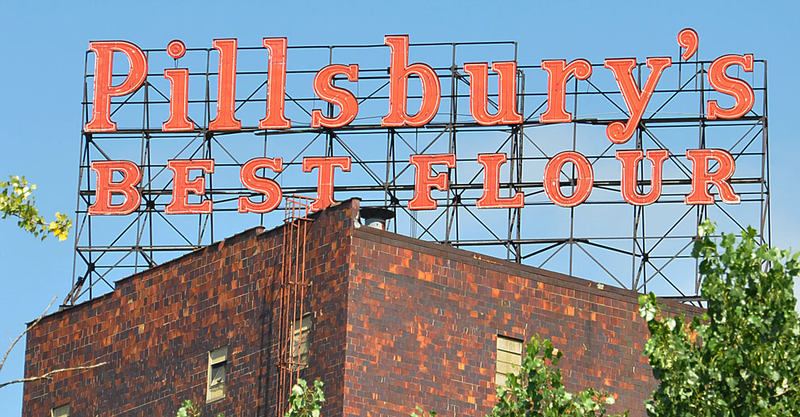 The building remained vacant until 1999 when it was converted into the North Star Lofts. 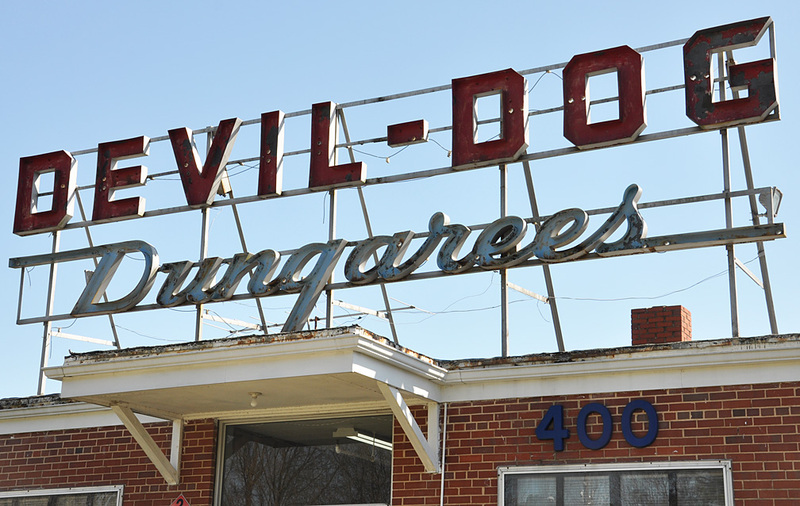 It is listed on the National Register of Historic Places. 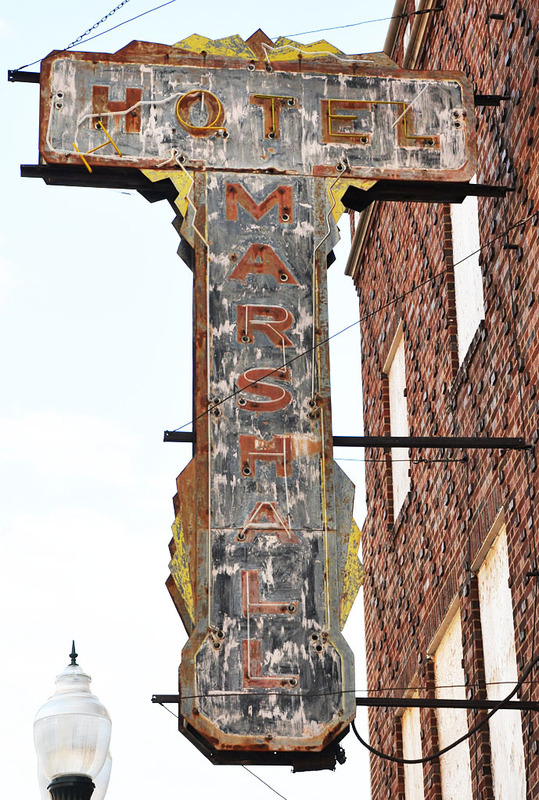 The signs' sheet metal letters and stars were built by the Federal Electric Company. The neon tubing was missing for decades. During the condo conversion, the signs were repainted and lit with spotlights. Then, in 2012, the signs became a safety concern when pieces began falling from them. 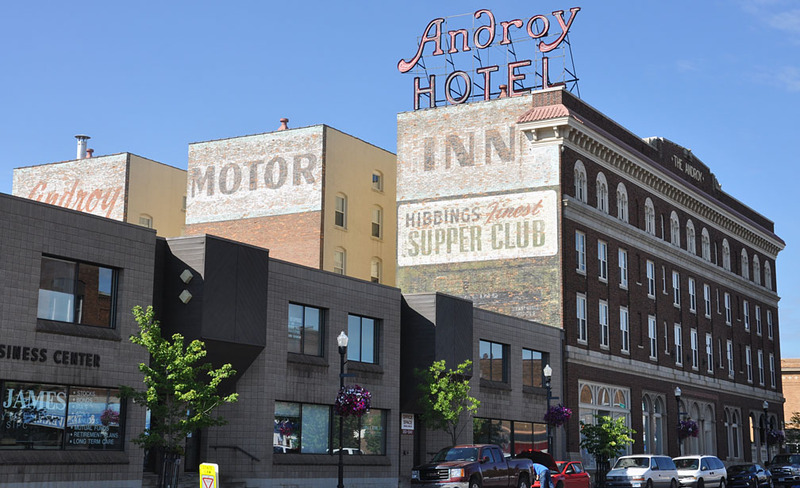 This prompted the approximate $350,000 restoration project in 2015. 70% of the money is coming from The State of Minnesota through the Minnesota Historical Society's Arts and Cultural Heritage Fund. The remainder will be paid for by the North Star Lofts Homeowner's Association. The Southern Cleaners' building was for sale in 2010 when this photo was taken. However, the company still seemed to be in business. By 2014, the building had been demolished and the sign was gone. 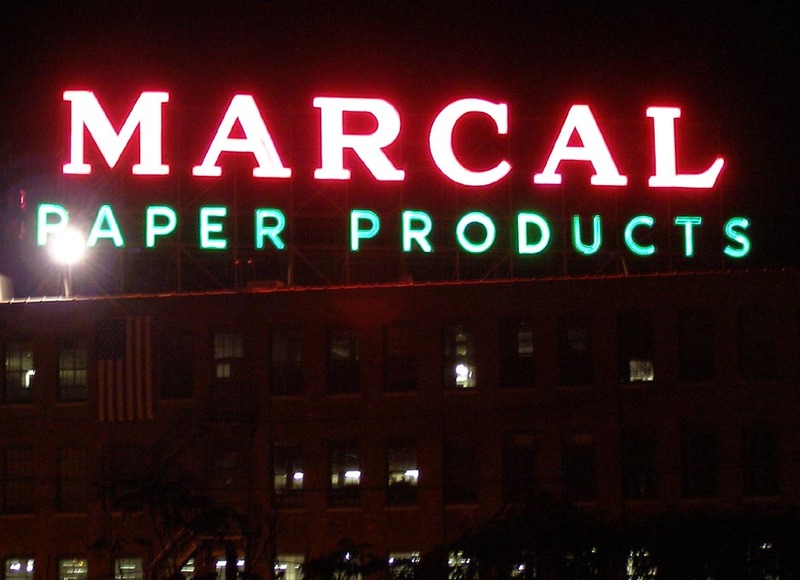 Marcal Paper Mills had been making tissues, toilet paper, and paper towels here since 1939. 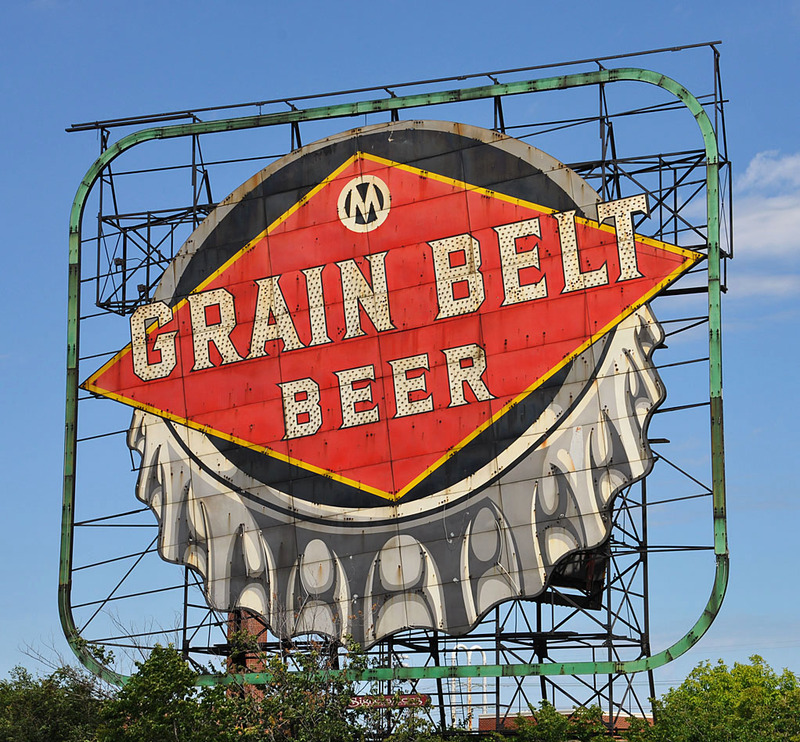 The sign was installed in 1948. There were two of these signs of the roof. They were angled for visibility from I-80. 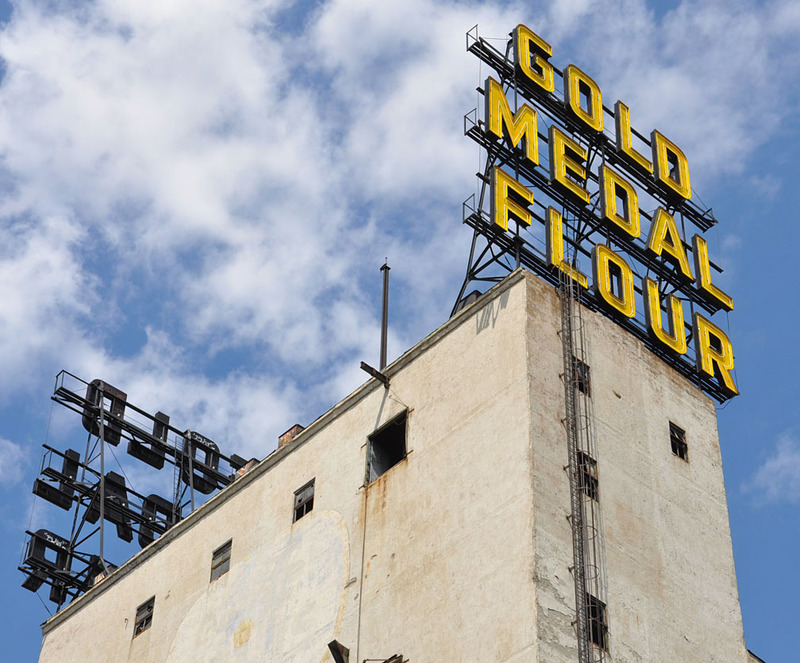 The sign was turned off in 2009 and then restored in 2014. 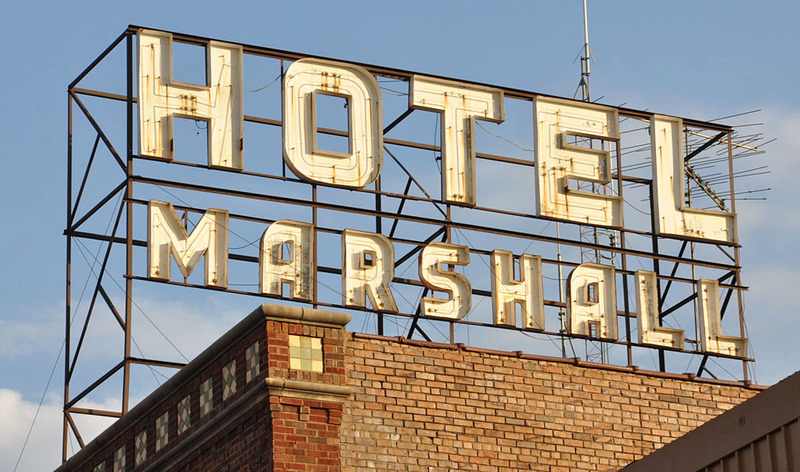 In 2019, the building and sign were destroyed in a fire. 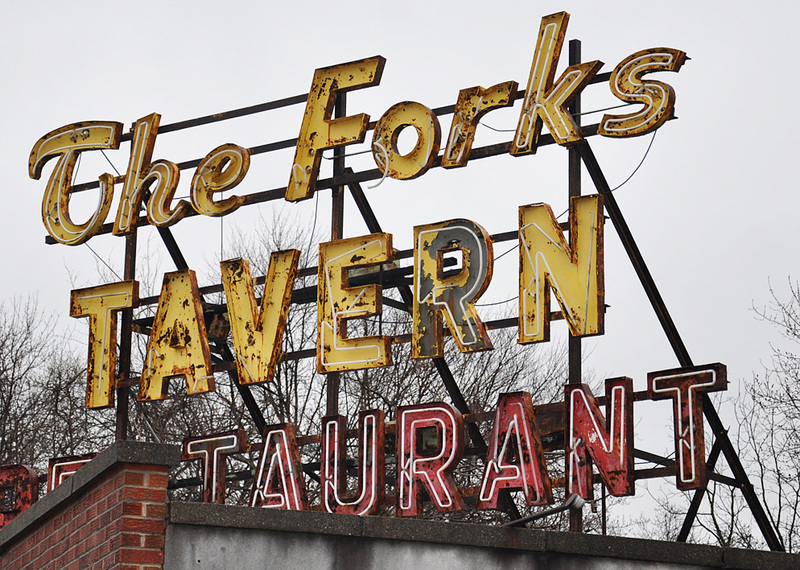 The Forks Tavern & Restaurant has been closed for many years but this rooftop sign remains. 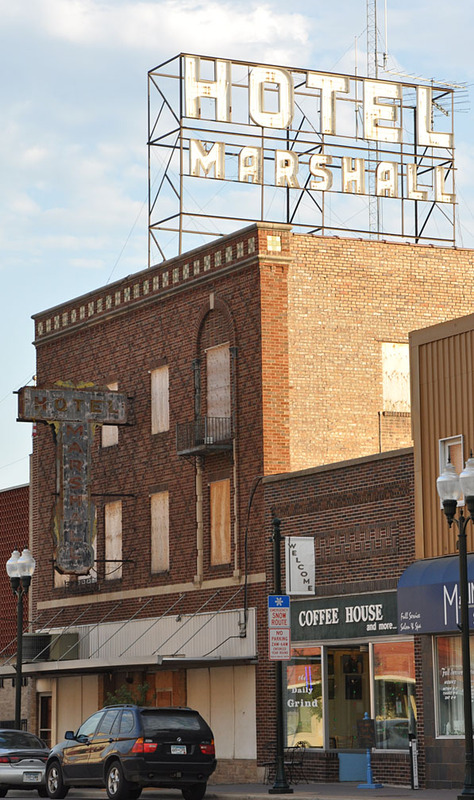 In 2015, plans were announced to demolish the building and the nearby gas station. 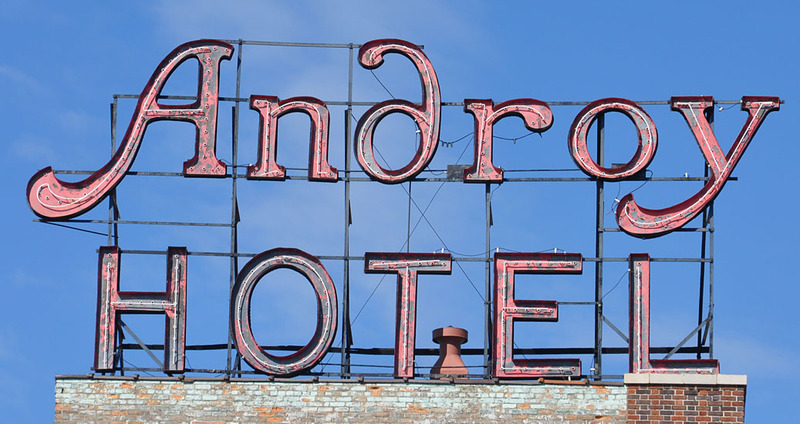 By 2016, the building and sign were gone. 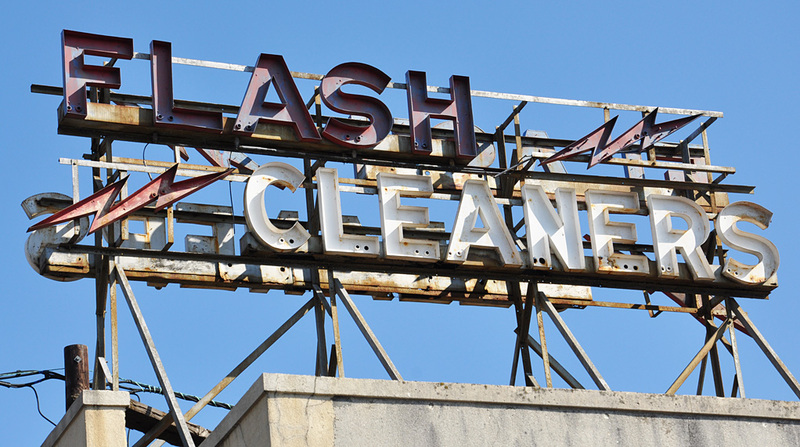 The Flash Cleaners sign was probably from the 1950s. 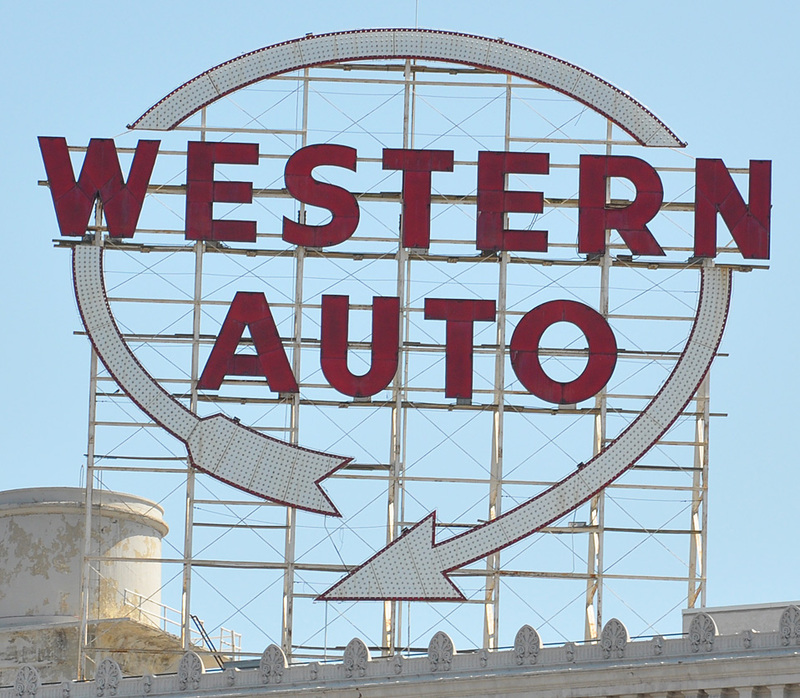 The neon was missing when this photo was taken in 2011. 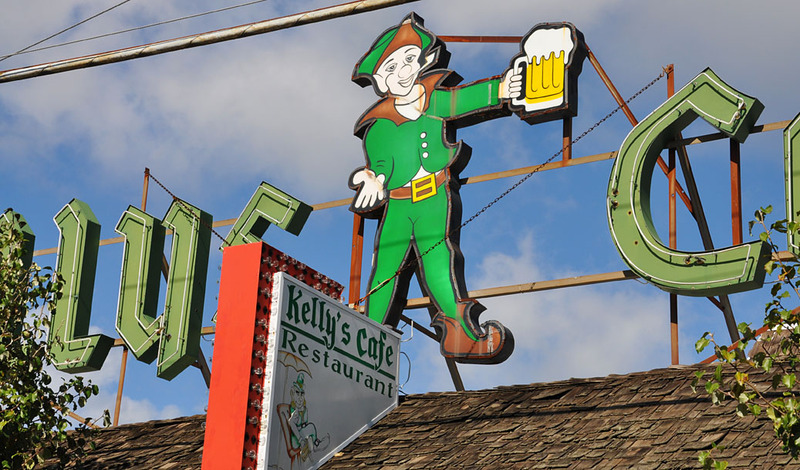 The sign was still there in 2013. The business was still there in 2016 but the sign was gone.